Organization: Digital Equipment Corp. - Colorado Springs, CO.
PDP-3 = A DEC customer (Scientific Engineering Institute, Waltham, Massachusetts) built a PDP-3 in 1960. It finally was given to M.I.T., and eventually wound up in Oregon (1974). PDP-9 = a modified version of the PDP-7 (it started life as a PDP-7/X). Its main advance over the PDP-7 was in the memory design. PDP-13 = no such machine! PDP-15 = a whole family of computers (the PDP-15/10, /20, /30, /35, /40, /50, and /76). One of the first DEC computers to use ICs extensively. First PDP-15 shipped in February 1970. A good overview of the DEC family of computers can be found in the book "Computer Engineering - A DEC view of hardware systems design", by C. Gordon Bell, J. Craig Mudge, and John E. McNamara. 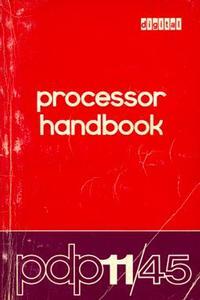 It is published by Digital Press, ISBN 0-932376-00-2.
but at least one is missing: the PDP-9T of 1967-8. This was, as far as I know, DEC's first memory mapping computer designed for real-time time-shared experiment control. (I know the PDP-1 was time-shared, after a fashion, but the 9T had proper separation of all address spaces, round-robin scheduling, and so forth). The story is more or less as follows: DCIEM had been looking for a shared experiment controller, and I was considering whether we could modify a PDP-7 along the lines of the SDS-940 at Berkeley(? where Butler lampson was, if not Berkeley). DEC's Canadian salesman, Sy Lyle, took my proposal to Maynard, and came back with stories of this wonderful new super-PDP-7 on which we might try the idea if we could persuade the project manager, John Jones. So off I went to Maynard, on the way passing by Harvard Psych Department, where they were in the planning stage of buying 4 IBM 1800s for experiment control. There I got Dan Forsythe and Don Norman interested, and we all went to see John Jones in the old mill in Maynard. After a few minutes of my presentation, he asked us to wait while he called in his Chief Engineer, Larry Seligman, who listened for about 20 minutes. Jones asked him what he thought, and he said "I like it," so Jones said "We'll do it." That's the kind of company I like. So what happened? Harvard and DCIEM both bought one, but San Diego did not, and neither did anyone else. The Harvard and DCIEM machines were developed in parallel with the normal PDP-9, leapfrogging each other in the development of their time-sharing hardware. Seligman devised a neat instruction-mapping device that allowed individual users to have their own privileged instruction sets and enabled them to exercise direct control over their I/O devices (wild, for a fully protected real-time time-sharing machine; I often wonder why it was not ported to the PDP-11 along with the memory mapping scheme). Unfortunately, in the middle of the PDP-9 development, Seligman went back to university, leaving the PDP-9 in the hands of a less imaginative Chief Engineer. The PDP-9 that Seligman designed was later built, and called the PDP-15 (at least many of the characteristics of the PDP-15 were those Seligman had specified for the PDP-9 but did not appear in the 9). As a result, the actual PDP-9T was not the clean machine that it should have been. DEC never produced any software for the 9T, and as far as I can gather, never tried to sell any other than the two development machines. But those two ran experimental psychology labs for over a decade, quite successfully. The PDP-9 had an address space of 32K 18-bit words, but the mapped machine allowed 256K. The virtual machine seen by the users was identical to a normal PDP-9 except for the 256 extra instructions provided by Seligman's I/O mapping trick, some of which did virtual DMA for non-DMA devices, provided timing services, and the like (for real-time experiments). On the normal PDP-9, the user had to use a minimum of 8K because of the ADSS monitor, but on the 9T, the user could be as small as 2K, which was plenty for many experiments. Users were guaranteed a response to an interrupt within 10 msec, and usually got it within 2 msec (all in-core, there was no swapping), with as many as 10 real-time users. Scheduling was a round-robin with 1 msec frames. The PDP-9T inspired two sharp characters from Harvard, Rob Strom and Bob Walton, to produce both software and theoretical studies of time sharing. Walton, in particular, devised a theory of guaranteed real-time time-sharing that was not put into practice (as far as I know) until perhaps 10 years later on the PDP-11/34 and 11/70, with our (DCIEM and Andyne Computing Ltd.) MASCOT modifications to the UNIX kernel. The software development for the machine was a joint project of Harvard Psych Department and DCIEM. Fun Days, with a Fun Machine. I wish DEC were like that now! If the universe transcends formal methods, it might be interesting. PDP-2            NA    24    Never built? PDP-3                  36    One was built by a customer, none by DEC.
PDP-4  1962            18    Predecessor of the PDP-7. PDP-5  1963   $27,000  12    The ancestor of the PDP-8. PDP-6  1964  $120,000  36    A big computer; 23 built, most for MIT. PDP-7  1965  ~$60,000  18    Widely used for real-time control. PDP-8  1965   $18,500  12    The smallest and least expensive PDP. PDP-9  1966   $35,000  18    An upgrade of the PDP-7. PDP-10 1967  $186,500  36    A PDP-6 successor, great for timesharing. PDP-11 1970   $10,800  16    DEC's first and only 16 bit computer. PDP-12 1969   $27,900  12    A PDP-8 relative. PDP-13           NA          Bad luck, there was no such machine. PDP-14                       A ROM-based programmable controller. PDP-15 1970   $16,500  18    A TTL upgrade of the PDP-9. PDP-16 1972 $.8-$4,000 NA    8/16  A register-transfer module system. Since then, the PDP-11 had 16 to 22 implementations, depending on how you count them, many with variants. The following attempts to briefly track the evolution and progression. 11/20  KA11  Origin of the species 1x performance. 11/65  KD11  4x performance. 32 bit separate memory bus, 32 bit processor. Resource Sharing/Time Sharing. General purpose Time sharing system. Cassette Based Programme development System. System. A language, an operating system and a DBMS all in one. Real Time. Foreground/Background or Single Job operating system. Multiuser enhancements to RT11 (third-party). Resource Sharing eXecutive. Multiprogramming system. Small to moderate-sized real-time multiprogramming system. Interactive Application System. Multi-purpose multiprogramming system. Much/most of Unix was developed on PDP-11s. a process. Several machines at BTL ran MERTS. version of RT-11, or a time-sharing system layered on top of RT-11. version of RSTS, or a time-sharing system layered on top of RSTS. Time-sharing system layered on top of RT-11. Heathkit's hacked version of RT-11, wouldn't run on a "real" PDP-11. Digital's implementation/port of BSD UNIX. A third-party implementation/port of UNIX. http://williambader.com - Revised September 01, 2007 02:34:56 AM. Copyright © 2007 William Bader.